Updates to previously uploaded fictional line repaints for VFA-115 Eagles should it receive Lockheed Martin F-35Cs in future. The included files now have different BuNos for each aircraft (previous release all aircraft had same BuNo). This is a complete replacement. Includes extra CAG texture. 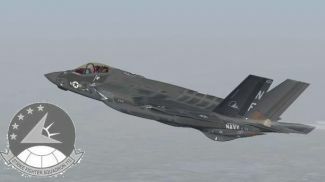 For the Dino Cattaneo F-35C model (F35V230.ZIP). By S. Peterson. 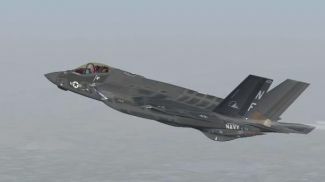 Screenshot of F-35C VFA-115 in flight. 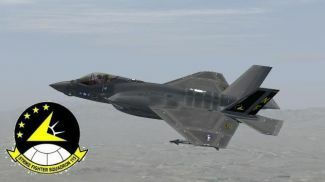 The archive vfa115.zip has 31 files and directories contained within it.